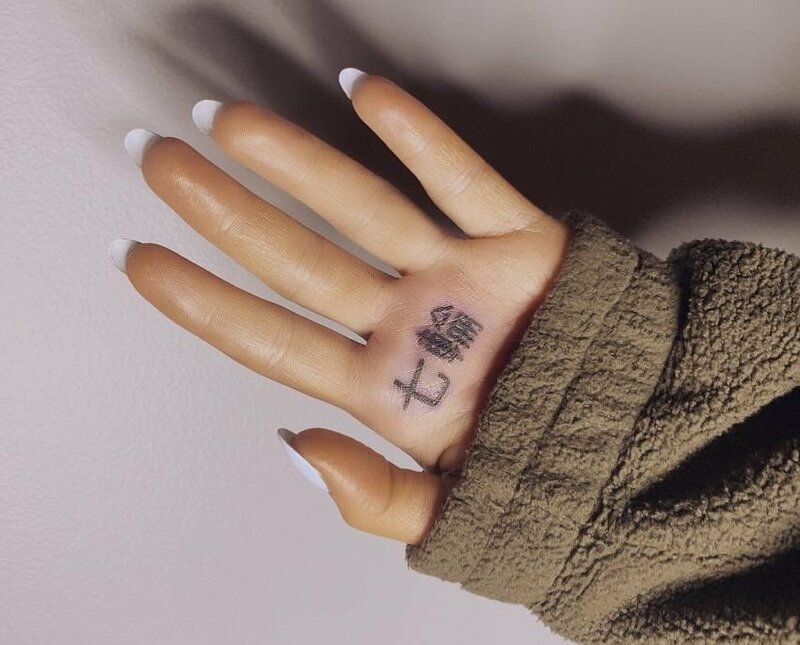 An update about Ariana Grande’s misspelled Kanji palm tattoo: She tried to fix it, but kind of made it worse! After the Internet reacted with an onslaught of mockery and criticism, the pop star deleted photo evidence of the ink from her social media and spent last night figuring out how to “fix” the tattoo with the help of her “tutor,” a process she shared to her IG Story. Grande’s tutor told her to add the Kanji character for “finger” (指) in between and above the original tattoo. 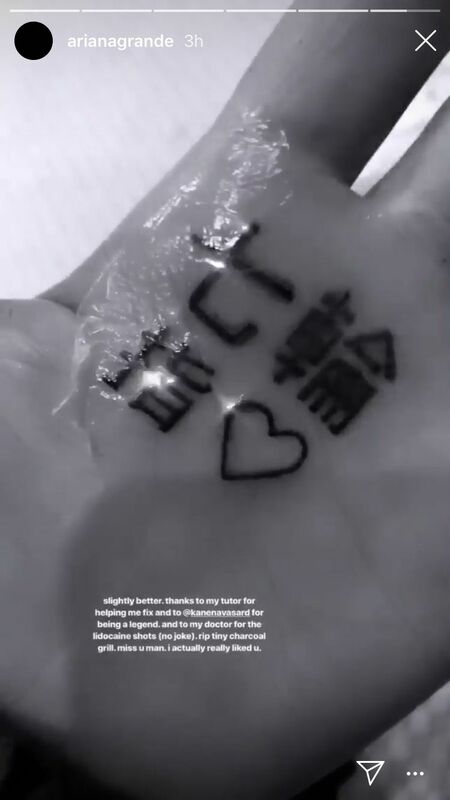 Grande posted a photo of the updated tattoo to her Instagram story, and alongside the revelation that her doctor gave her a shot of lidocaine to endure the pain, the post revealed that she’d added the new character directly underneath the symbol for seven (七) rather than above and in between the two existing characters—meaning that her tattoo (“七輪指♡”) now roughly translates to “Japanese BBQ finger ♡”. 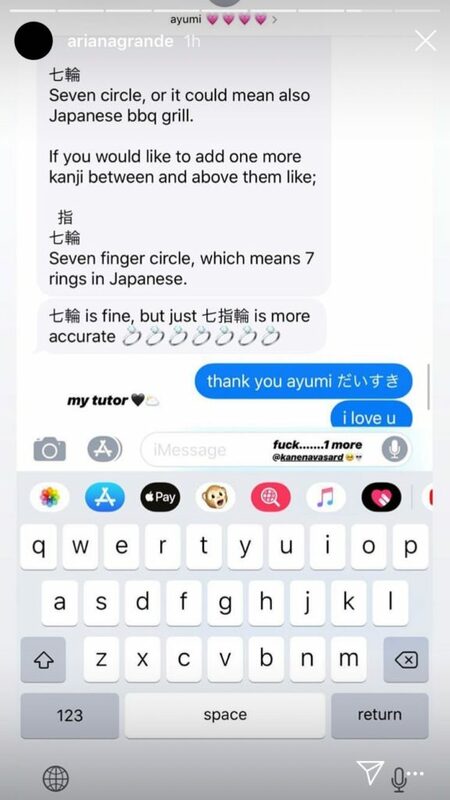 (Japanese is read vertically from top to bottom and also read right to left, meaning that in order to actually read ‘7 Rings’ the new symbol should have been added above the original tattoo, as per Grande’s tutor’s suggestion). “RIP tiny charcoal grill. Miss you man. I actually really liked you,” Grande wrote.